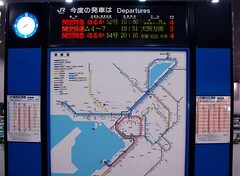 JR West connects KIX and Osaka, Kyoto directly with its train services. 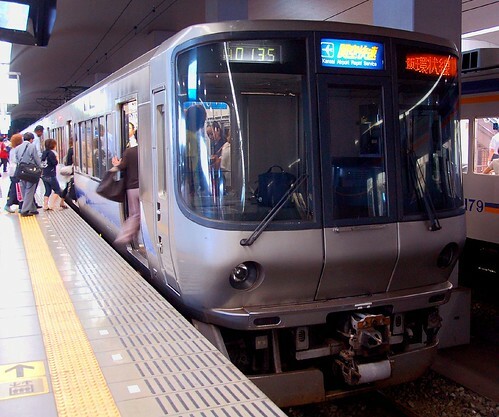 The limited express Haruka gets you to Kyoto in 75 minutes in the daytime, and the rapid train gets you to Osaka (Umeda) in 66 minutes for 1,160 yen each way. 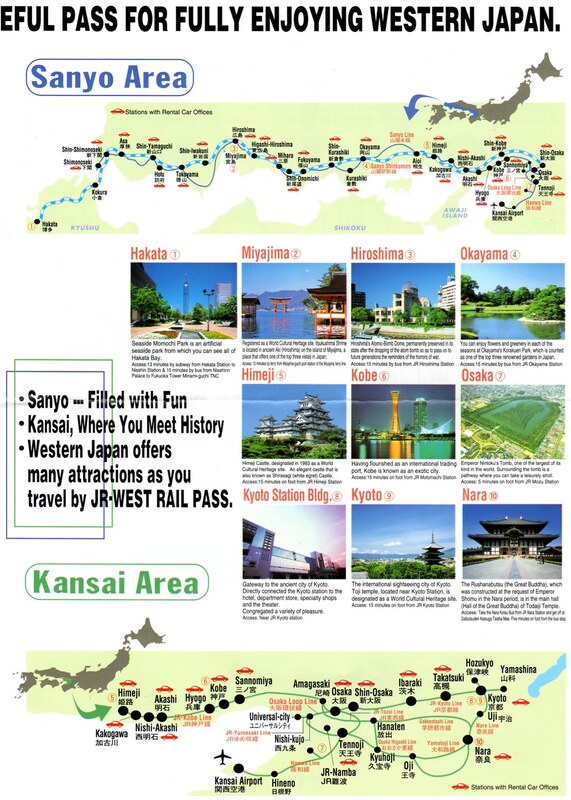 If you purchase the JR West Kansai one day pass for 2,000 yen, you can get to Kyoto in a non-reserved seat with the ticket. 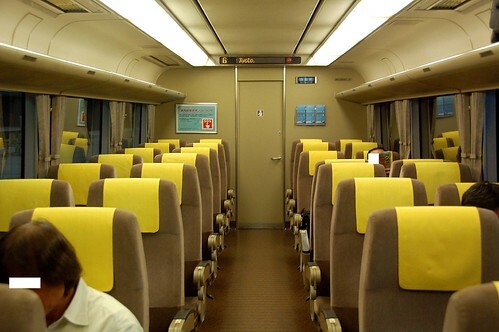 The normal fare is 2,980 yen each way in a non-reserved seat from KIX to Kyoto. You can purchase as many vouchers as you like before you come to Japan. 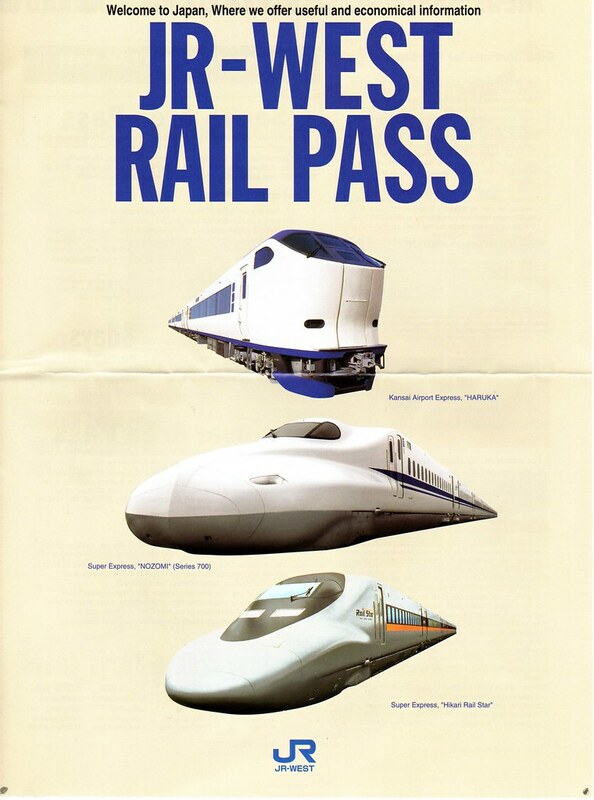 It's sales locations are all the same as the Japan Railpass sales agencies. 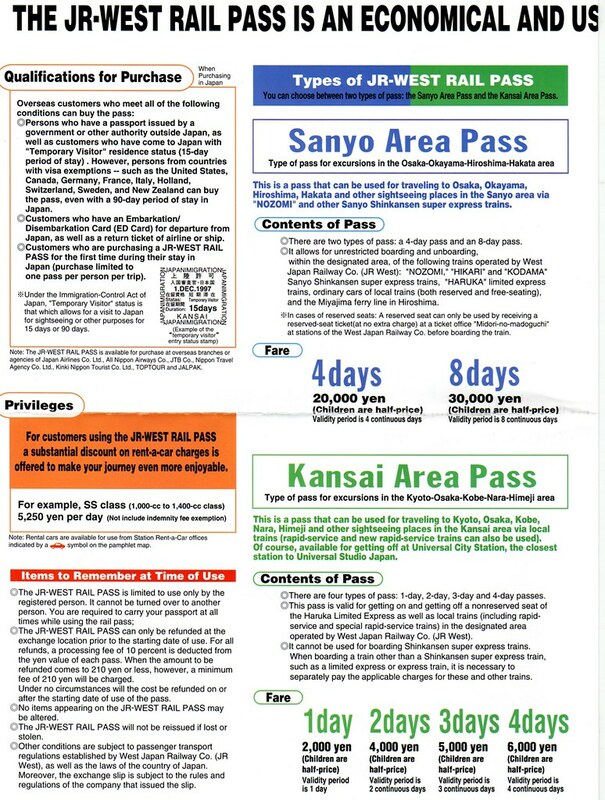 After entering Japan, you can purchase the pass only once. 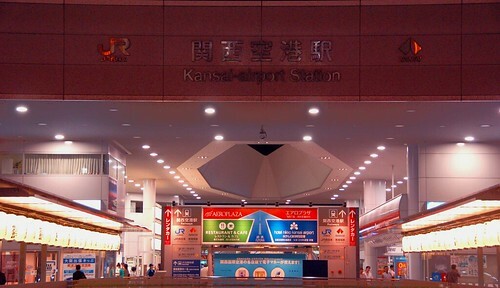 The JR West Kansai and Sanyo pass are sold at any JR West counter in Kansai Airport, Osaka, Shin-Osaka, Kyoto and other major stations. You can activate the passes from vouchers at the same places. I'd say you might want to choose the Japan Railpass instead of JR West Sanyo Pass unless you're in a hurry. 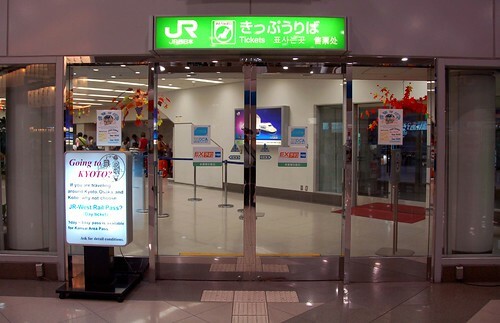 JR ticket counter, where you are supposed to have your JR Pass validated. 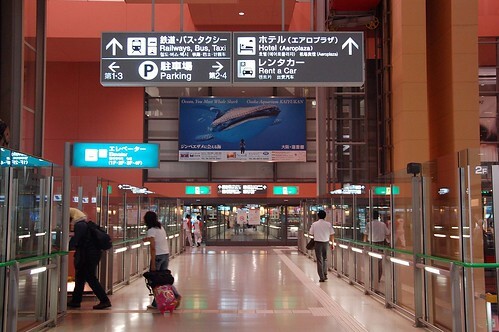 However, unlike Narita Airport Station operated by JR East, there is no signpost regarding JR Pass validation here, inside or outside. The entire view of the ticket counter room. 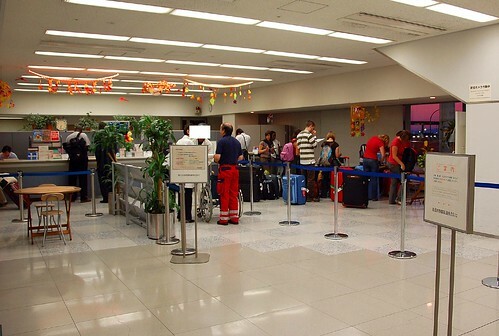 The JR Pass validation point: According to the rep, they usually ask foreign tourists who are validating the pass to wait in a line for the ticket counter. The rep will validate the pass for you. 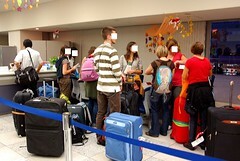 If the line gets longer with those wishing to validate the pass, they open a designated counter for foreign tourists to do so. I didn't see any blank JR Pass application format on the desk etc at all, so you may need to ask a sales rep for it. 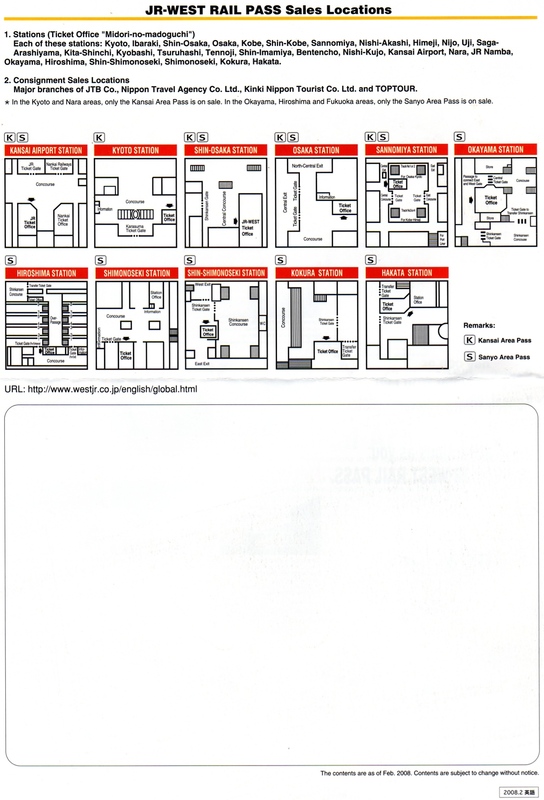 I might suggest you to print the format out at home before the trip to Japan to avoid possible trouble. 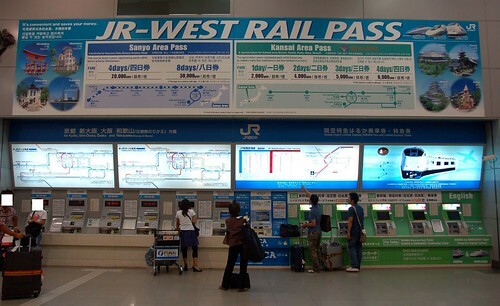 JR West Railpass as stated above. 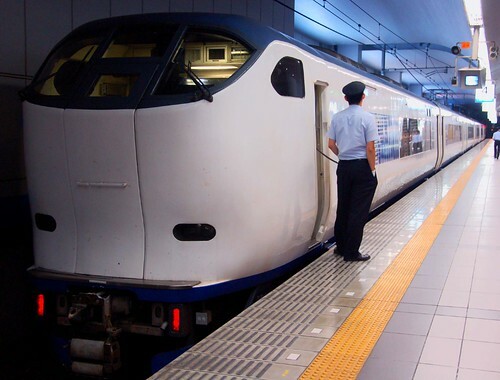 Haruka train about to leave. Osaka (Umeda) bound rapid train. Thank you so much for spending time posting such useful information. 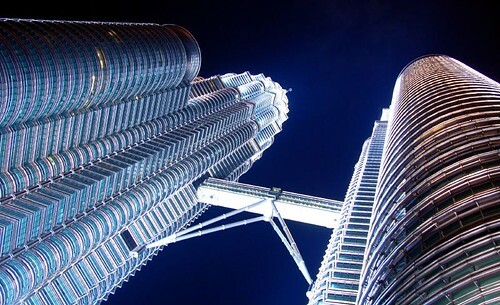 I am preparing my trip to Japan now and your blog is really helping me a lot. Thank you!! This page was really useful for my latest trip to Kyoto, thank you for taking the time to put it up. You can purchase as many vouchers as you like before you come to Japan. I flew in & out of KIX, & used 2 such vouchers for travelling between KIX & Kyoto, so I had no problems (one activated at KIX, the other at Kyoto). 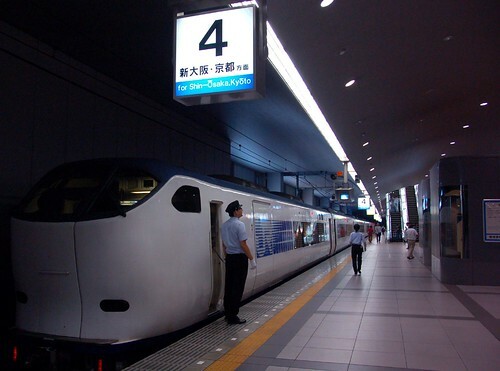 But the JTB staff in my country & JR staff at KIX all took pains to explain the above condition to me when they saw that I had more than one voucher for the JR West Kansai 1-day pass. Not sure if this condition applies to other passes e.g. 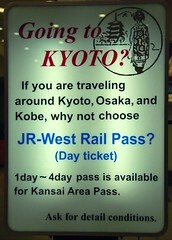 the JR West Kansai 4-day pass. Thank you very much. I shall be using your guide for my upcoming trip. This is very useful, Thanks.